We all know what good writing is. It’s the novel we can’t put down, the poem we never forgot, and the speech that changes the way we look at the world. In the Business world good writing is the email that gets action and the letter that says what a phone call can’t. 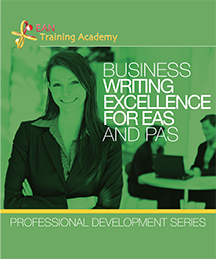 Prepare reports and proposals that inform, persuade, and provide clear information.